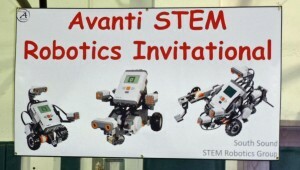 The fourth annual South Sound STEM Robotics Invitational (formerly the Avanti STEM Robotics Invitational) is scheduled for Thursday, May 30 at Jefferson Middle School (2200 Conger Ave, Olympia) from 9:30 to 1:30. 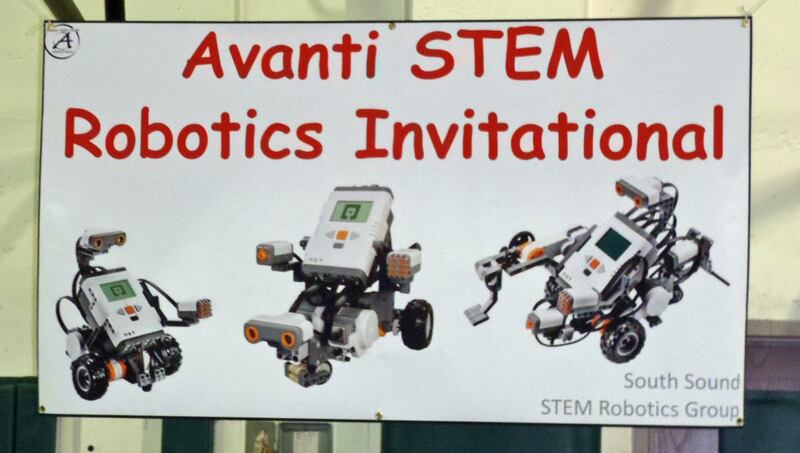 Sixteen teams from Onalaska to Everett are expected at this year’s competition. The growth of the event has prompted the move from the old Knox Gym at Avanti High School to the dual-gym layout at Jefferson Middle School. For more information on the event, please see this Volunteer Need page.